The Tennessee Volunteers are the No. 1 team in the country, but they’ll have their hands full on Tuesday night when they pay a visit to the South Carolina Gamecocks. 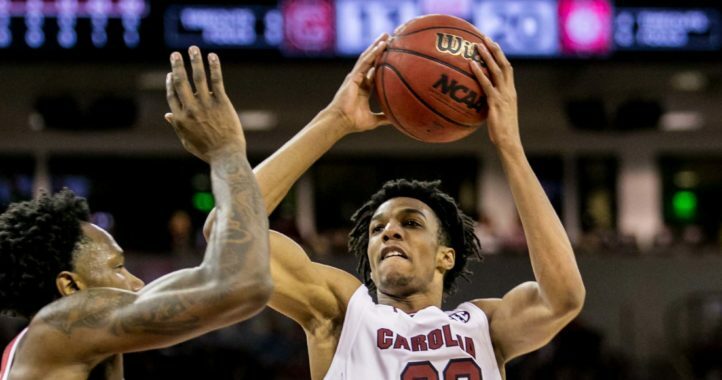 The Gamecocks may not be ranked, but they’re an impressive 5-1 in SEC play and have already taken down the likes of Auburn and Mississippi State. Can the Gamecocks hand the Vols their first SEC loss? Tuesday night’s game tips off at 6:30 p.m. Eastern time and can be seen on the SEC Network. Bold prediction, but that’s why the game is played. They’re definitely catching UT at the right time. Frank Martin is looking forward to November when he can trash talk the Clemson Tigers just before they play South Carolina in the Palmetto Bowl. This should be a great game. If the fans show up that place will be rocking. It will be the perfect time for Admiral to break out of his slump and break the sc fans hearts. Let’s Roll!!! They’re The Boys from Brazil. Rough funeral for UT, Ryan. Nice job “burying” UT. Guess he learned why you don’t talk smack to the best team in the country. Last time a Carolina QB talked smack to UT was 1993. The result was a 55-3 destruction at Neyland Stadium. But good job on Ryan Hilinski trash talking the Tennessee Fist Ballers. At least you guys get free Chick Fil A. Oh wait….that’s chicken. Not if the basketball team returns the favor and organizes another “funeral” next October…. 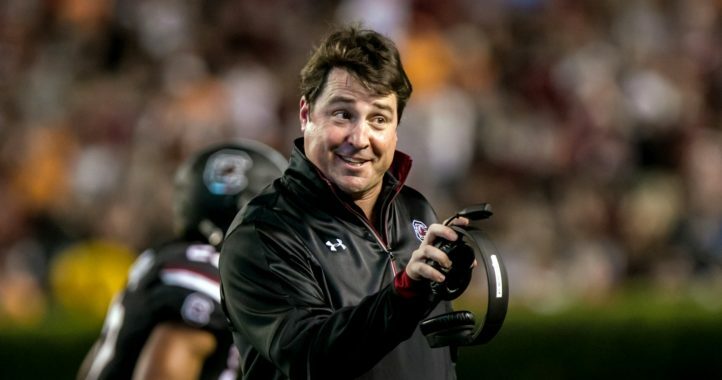 Won’t happen, when was the last time UT beat a Muschamp coached team, I’ll wait…. It will happen sooner than you think if the program continues to trend the way it has. Don’t forget USCjr has Tn away this coming season. Also, I have to question the future success of an athletic dept that thought organizing this “funeral” on their Twitter was a good idea. Hopefully you didn’t cry into your free chik-fil-a after the team you were going to bury dropped 20 on you. Quite sorry when you can’t get within an 8.5 pt spread at home to a conference rival. I’m aware of his record against Dooley/The Intern and the garbage team inherited by Pruitt. A team USC barely beat at home. You can crown Muschamp if you want, but I think you’re whistling past the graveyard if you’re now claiming football over UT. If UT continues it’s track, combined with a growing Florida and strong programs and Georgia and Klempson, USCjr will be back to the normal level of success they’ve had in the past (which is to say, none). Lol nice list of excuses, As long as there is TN football, we don’t have to worry about being last, TN I’d doing a great job being a traditional basement dweller. Finally, UTjr’s fans start smack talking with their own usernames and logos. Welcome back guys. Are we really discussing trends when Tennessee can’t get past Vanderbilt? Wait. I’m trying to throw football into this!?!? 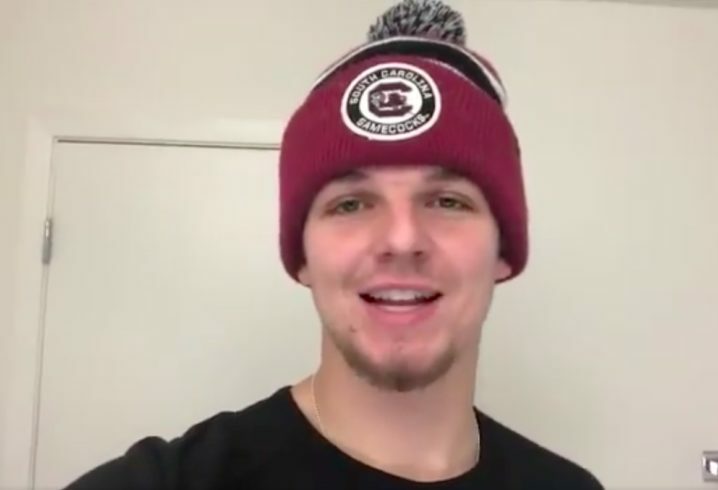 Ryan Hilinski is a FOOTBALL COMMIT at South Carolina trying to talk trash on the Tennessee BASEKTBALL team. Shut up and get back to your funeral. Let me rephrase since you missed the point, quit trying to coattail UT’s football team to it’s basketball team, your football team s*cks and bringing up UT football right now just looks desperate. Kind of like SC fans did when all they had was their baseball team… The days of UT losing to SC in football are coming to an end…SOON! Allow ME to rephrase since YOU missed the point. YOUR football recruit-who has yet to play one actual down of football is trash talking Tennessee’s basketball team. YOUR football player is trying to throw coattails down for your basketball team. Tennessee’s basketball team needs no coattails. At. All. Keep shoveling the dirt, pal. Rephrase? You keep using that word. I do not think it means what you think it means. Carolina brought a football player to hype a basketball game. Your team. Your player. Didn’t work. You lost by 22 in your own building. Nobody introduced football into this basketball game but South Carolina. Get someone to explain that to you. Along with the final score, 92-70. Carolina puts the FUN in funeral.